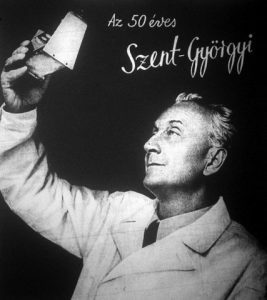 Hungarian physiologist and biochemist Albert Szent-Györgyi did quite notable research throughout his life. While working at the University of Szeged he determined the structure of vitamin C and also found out how some energetic reactions occur at intracellular level. This is why he was awarded the Nobel Prize in 1937, being the only Hungarian resident in his country at the moment he was awarded the prize. He afterwards studied the muscle physiology and cancer metabolic pathways. But his greatest, most insightful ideas came from the field of quantum biology and for being the first one to imply that electronic semiconductivity might play an important role in biological systems. Unsurprisingly, an idea this radical had a total rejection from the scientific community; including Linus Pauling, who (half joking–half telling collective scientific opinion) shouted into one’s of Szent Gyorgyi’s symposiums: Proteins are not semiconductors! But nowadays it’s known that proteins and nucleotide stacks have semiconductor properties. Szent-György was right. Biological electronics deals with the flows of much smaller particles than sodium or potassium (which are the ions used by the neurons to send and receive messages). Bioelectronics deals with electrons, protons, and the spaces where an electron is missing, called a hole. Proton-jump conduction (or proton hopping) has been proven to be faster than neural conduction. 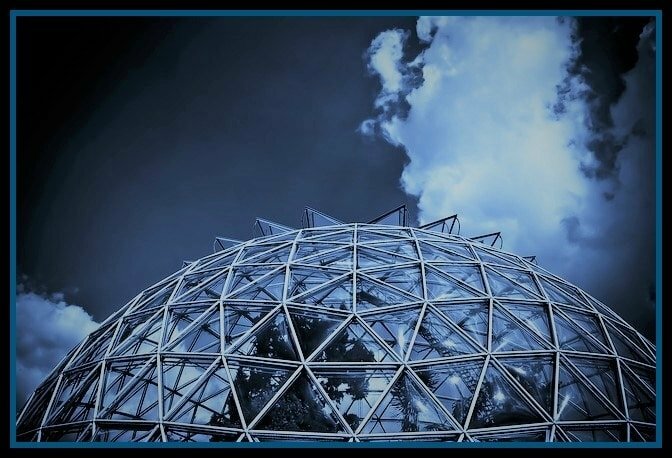 Buckminster Fuller was a man ahead of his time. Inventor, author, architect, among other titles. He was quite a genius. He believed in solar and wind energies; in technology to the serve of the basic needs, where “omni-successful education and sustenance of all Humanity” is reached. 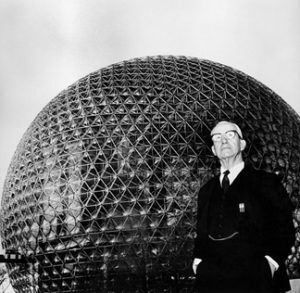 Maybe his most known invention is the Geodesic Dome, which already in the 1950’s had worldwide recognition. What is of most interest for us right now is the term he created by adding the words “tensional integrity”: TENSEGRITY. And in biology this describes the state where an organism has elements that create tension and can handle traction and compression, permitting a flexible and stable structure. Tensegrity is key to understand the subtle pathways that compose the Living Matrix. This tension resides in bones and specifically ALL connective tissue. Connective tissue is displayed in a crystal lattice, so any stretch or compress will have a piezoelectric effect which will be dispersed along the whole. Tensegrity is a very important structural feature of cells, shaping it according to the environment, developing a structural memory, this is why after a massage or other healing session we are told not to make strong movements or efforts, because of the structural memory of cells and tissues. Even NASA, as well as the University of California, are studying the development of tensegrity based robots called Super Ball Robot, which is ideal for planet landing and exploration. Semiconduction and tensegrity are two key aspects of a holistic perspective regarding the cell and the human body. Integrating this concepts into the human system gives us a different version of the living cells and also new ways of body communication. This post is the continuation of The Electromagnetic Human Field, and these concepts will be developed in the next post: The Living Matrix.